Michael Erlewine is an award-wining archivist of popular culture and founder of AMG, the All-Music Guide, the All-Movie Guide, and ClassicPosters.com (rock concert posters), and many other sites. 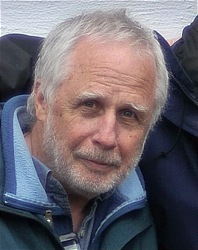 Erlewine is also a world-famous astrologer, the first person to ever program astrology on home computers and make programs available to professional astrologers. The author of scores of books on astrology and related topics, including hundreds of articles. Michael Erlewine is also co-director of the Heart Center Meditation, a Tibetan Buddhist meditation center, in operation for almost thirty years. Early on Erlewine hitchhiked with Bob Dylan, opened for Cream at the Fillmore Auditorium in 1967, the "Summer of Love," and many other gigs. Later he had a career in music as lead singer and amplified harmonic for the Prime Movers Blues Band, featuring Iggy Pop on drums. Michael Erlewine can be reached at Michael@Erlewine.net.